Some ERP systems gain popularity as a result of perceived risk avoidance, says Stuart Scanlon, sales and marketing director at New Era Solutions. Collaboration between often disparate business units or divisions is largely one of the key benefits gained through a successfully implemented enterprise resource planning (ERP) solution. 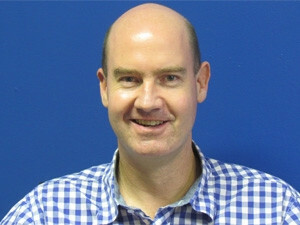 So says Stuart Scanlon, sales and marketing director at New Era Solutions, commenting on the results of the ITWeb/New Era Solutions ERP Survey, which ran online for 14 days in February 2014. "Some ERP systems gain popularity as a result of perceived risk avoidance. Implementing a new ERP system is one of the most disruptive exercises a business can undertake and often emotions cloud what should be a logical decision," says Scanlon. According to the ERP Survey, the majority of respondents (95%) believe that "best in class" organisations perform better as a direct result of their use of ERP business systems, only 5% believe that this is not the case. "Best in class companies perform better as they are able to make more informed decisions based on accurate data. An illustrative example of this would be four people, each representing their different business units, travelling in one vehicle. Their direct communication would enable them to make better, and quicker, decisions as opposed to four people travelling in different vehicles." The survey also showed something that is both interesting and concerning, Scanlon notes, adding that a large percentage of users find their systems difficult to report from and they felt too much reliance on their vendor to make changes. Scanlon goes on to say that ERP challenges only fit into three categories, which are people, process and technology. "Each of these elements is interdependent and often it is when one of these factors are out of kilter that the other two are thrown into flux. This is largely one of the key reasons that organisations make uninformed decisions to throw out systems." Scanlon comments further: "Understanding the underlying source of the challenge may seem obvious in getting it resolved, but far too often people get so bogged down in the detail that they miss the obvious." He also believes that customer retention is no different to retaining successful relationships, which he says can be achieved through successful communication. He also confirms that effective ERP systems facilitate this process very well. "We found that within the motor industry, when a salesperson has pertinent information on hand when dealing with customers, it positively impacted sales," Scanlon points out. Stating an example, Scanlon explains that when trying to sell a new vehicle to a previous customer, the salesman was able to proactively discuss previous service delivery failures, along with what measures have now been put in place to avoid this in future. "That nugget of information gave the salespeople not only credibility, but customer trust and loyalty." The survey showed that most respondents feel that four to six years is the optimum life cycle for an ERP system. Scanlon believes that this is largely dependent on the environment in which an organisation operates. "In a competitive and dynamic environment, an organisation may change its ERP system a lot earlier than an organisation that operates in a diffused market. ERP churn rates are determined by the rate at which the system can support an organisation's growth or its necessity to become leaner," Scanlon concludes.